Hello there and welcome to another fun filled day of Clearly Besotted Teasers. For my card today I have used what I think is my favourite set from this release, Flight of Fancy. I have also paired it with the new friend word die. I have first stamped the butterflies with Memento inks and then took the co-ordinating dies and embossed over the top with these. It gives a lovely added detail to a one layer card. I then stamped the 'happy birthday' from the already released Super Cool stamp set. 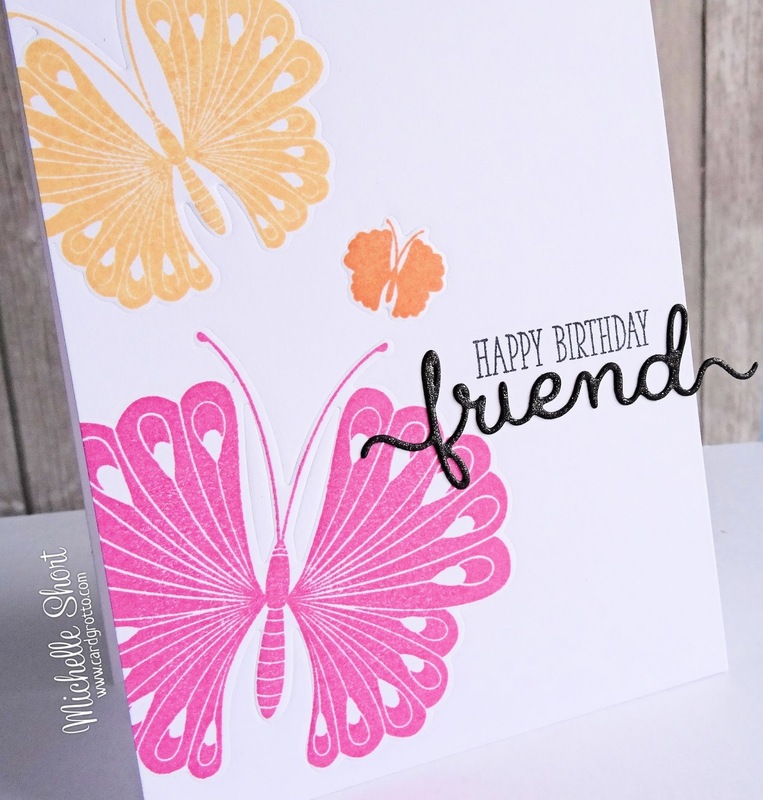 I have cut the Friend Word Die from black CS, added Wink Of Stella over the top and popped it under the happy birthday. Thank you so much for visiting me today. All the products will be on sale tomorrow at 10pm :) Please pop over and see Stephanie for her amazing samples as well as links to the DT sharing today. I will have my last teaser to share with you tomorrow, see you then! 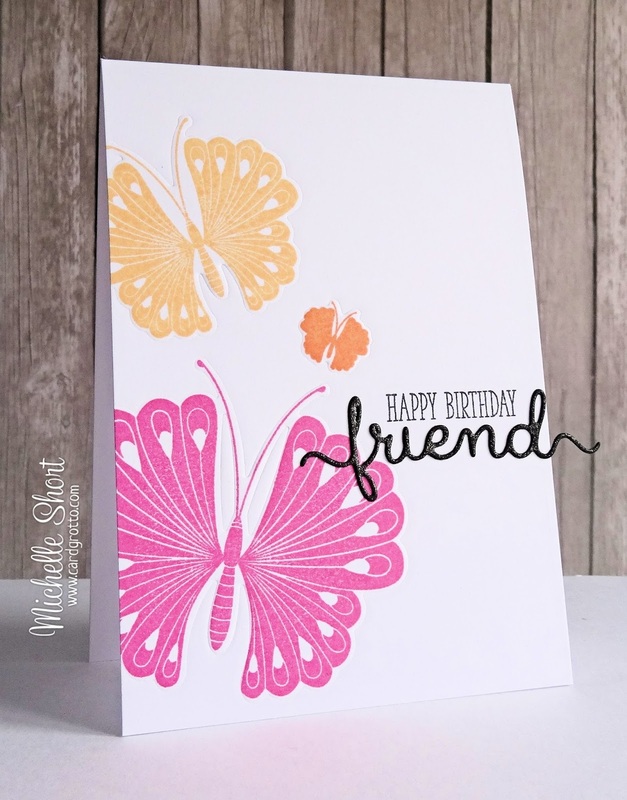 Stunning card, Michelle! Truly, these butterflies have me swooning! Such a gorgeous design on those butterflies!!! Beautiful card!! !